The monitoring solutions available from EcoPowerSupplies can be used to monitor electrical power and energy usage efficiency within datacentres and other building infrastructures. The solutions available from EcoPowerSupplies include systems for AC or DC circuits including branch circuit-level and sub-metering, and Automatic Monitoring and Targeting Systems that can accept energy usage information from a variety of meters (electricity, gas and heat) and aggregate this into a central database for analysis. The prices and models shown below are from two specific suppliers we work with. 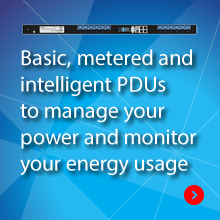 Racktivity are a smart PDU (power distribution unit) and sub-metering product supplier. Their DIN-rail mount sub-metering products include the AC2Meter (AC power) and DC2Meter (DC power) products. These integrate with their range of Smart PDUs, environmental sensors (E2Sensor) and DCPM monitoring software package. Racktivity products are recommended for datacentres and comms rooms requiring up to 1% billing grade accuracy. Synapsys provide systems for intelligent building applications. Their products include the SIPSe and SIPSp interfaces for energy or power data collection into a centralised database and an advanced web-based software platform and dashboard display. Synapsys SIPp is recommended for datacentres and the SIPe for commercial, retail, hotel, leisure and public sector building applications. A selection of case studies is available on the Synapsys company page. The Synapsys SIPp and SIPe products can be supplied with 24-48way interfaces for Trend monitoring systems. The models models can also be supplied as a complete metal, wall mounted box with 16-72CTs. Below we show prices are shown for the base units. 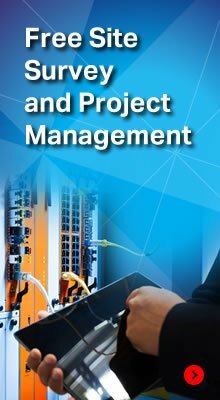 Additional CT monitoring cores and other interface and software cables may be required. EcoPowerSupplies can provide prices for these on request as well as a full electrical installation service through our certified electrical contracting team. We also provide Energy Surveys by our CDCDP and CDCEP certified datacentre design and energy efficiency consultants. These are provided free of charge and will identify energy saving opportunities within your organisation and facilities. Looking for an energy or power metering for your building and facilities? Then call the Eco Power Projects team for advice or to arrange a site survey or quotation on 0800 612 7388, email us or complete our enquiry form. The SIPSe system collects energy data and can display this in energy graphs on a dashboard which can be viewed on a PC screen, connected IPTV or tablet computer. It is recommended that the dashboard is displayed in a central location to give it maximum exposure to employees, visitors and anyone else involved in the energy reduction program or with an interest in it. On the dashboard, scheduled energy reports and energy usage exceptions can be set up through web pages and automatically emailed. The dashboard provides a live view with current consumption data against a set profile. Following an energy efficiency audit, the next step in any improvement plan is to implement real-time measurement and control through Automatic Monitoring and Targeting (AMT) Equipment and Systems to identify waste and reduce energy consumption. AMT equipment and systems can typically reduce energy consumption by around 5% minimum with 12% or more in carbon savings per annum. The Synapsys SIPSe is an ECA eligible Automatic Monitoring and Targeting System. The ECA scheme allows businesses investing in energy saving products like those from Synapsis to claim 100% capital allowances in the first year.